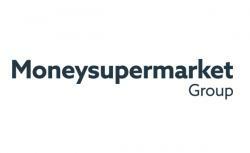 Moneysupermarket Group is an established FTSE 250 business with a mission to help every household make the most of their money. Operating through three well known and trusted brands, Moneysupermarket.com, MoneySavingExpert.com and TravelSupermarket, we provide free, easy to use online services that help customers to save money by finding the products most suited to their needs. Our scale means we can work with the widest range of providers – giving customers the choice they deserve, helping providers to find a cost effective route to market and saving people time and money every day.